Hey Ma’, look — no strings for these beans! Blue Lake Bush Beans don’t need a trellis, poles or strings, so growing them is ultra-low maintenance. The bean stalk yields abundant, plump and tasty bean pods that pack a wallop of crunchy goodness for your mouth. Blue Lake Bush Beans were originally developed as a canning bean. They quickly became a fresh food favorite and are now commonly served atop salads or steamed as a healthful side dish. However you serve them, your family is absolutely gonna love our succulent Blue Lake Bush Beans! 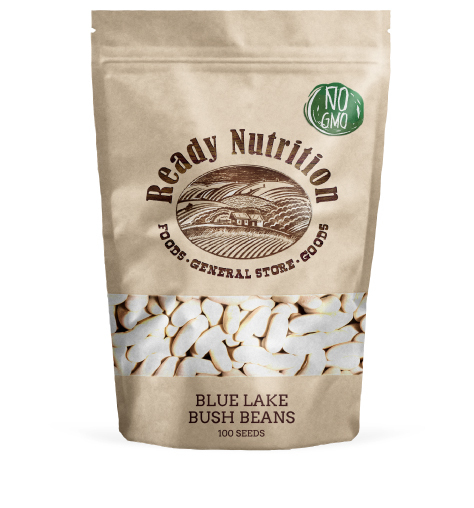 Blue Lake Bush Beans are very high in fiber, and vitamins A, C and K, as well as minerals like iron, calcium, magnesium, and potassium.